Happy Monday! 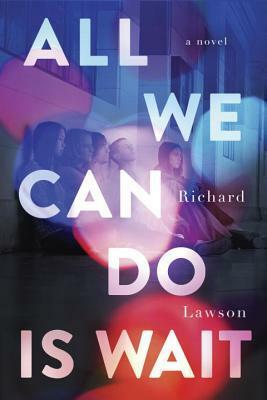 This week is full of so many great releases and we have seven books up for grabs this week. Don't forget to check out the awesome books being released this week and enter to win below! 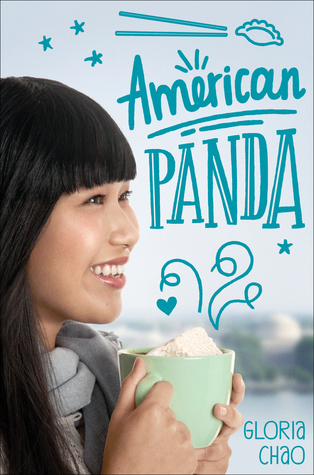 Author Question: What is your favorite thing about American Panda? My favorite thing about AMERICAN PANDA is that it’s the book I needed as a teen; I wrote it with the goal of telling readers it’s okay not to feel like you belong, it’s okay to have a different vision for your life than your loved ones, and that things can get better. Author Question: What is your favorite thing about Assassin of Truths? There are many of my favorite things about ASSASSIN OF TRUTHS. 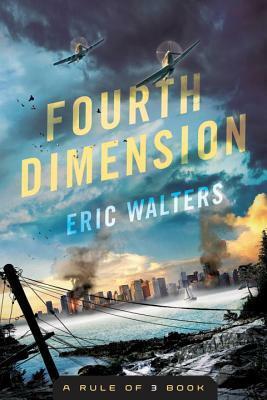 To start, the cover is my favorite of the series. I love how confident Gia looks and how the color fits the story. 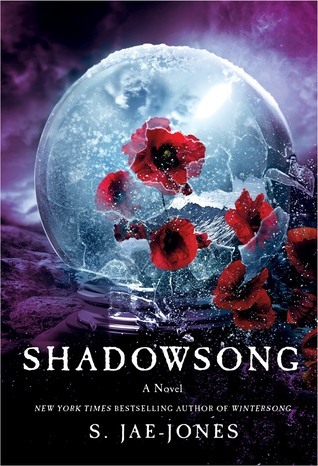 There’s an exclusive interview in the back of the book with my good friend and phenomenal writer, Pintip Dunn, New York Times bestselling author of the Forget Tomorrow series. We had so much fun doing it! I like that Gia goes deeper into the Mystik world and that we get to see more of the havens and covens. There’s a fight in the gateway that was so much fun to write. There are many special moments in the book that left me in tears. And I enjoyed writing Gia’s budding and swoon-worthy relationship with a certain hot guy. I think ASSASSIN OF TRUTHS is a great conclusion to the Library Jumpers series. I hope if you read it, that you will enjoy it as much as I enjoyed writing it. 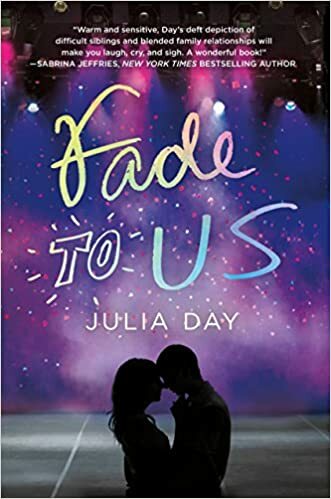 Author Question: What is your favorite thing about Fade to Us? I love how much this book celebrates sisterhood—in all its complicated glory. My two daughters have an amazing relationship, even though they’re traveling very different paths. My younger daughter is on the autism spectrum. Her older sister juggles a tough health concern. Their daily lives can be a struggle. But no matter what, they have each other’s back. It thrills me to see how strong their relationship is. I wanted to capture some of that give-and-take in FADE TO US—only in this story, the heroines become sisters over the space of a few weeks. Brooke is outgoing, friendly, and a bit geeky. She’s been raised by a free-spirited mom with no siblings or father, and she wants both desperately. Natalie is autistic, loves the theater, and has divorced parents who have carefully provided the structure and routine on which she thrives. 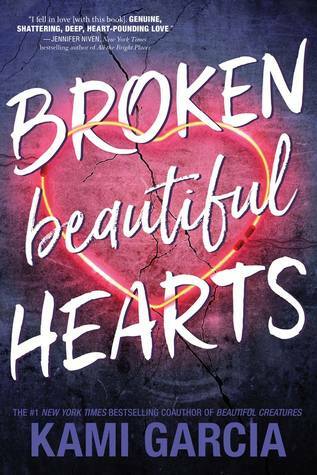 When these two new stepsisters find themselves unexpectedly living together for a summer, the reader gets to watch them slowly, sweetly, painfully become the sister each other needs. 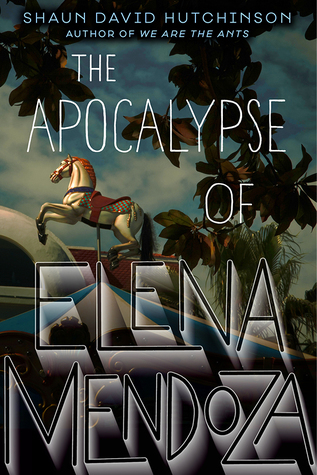 Author Question: What is your favorite thing about The Apocalypse of Elena Mendoza? The optimism. 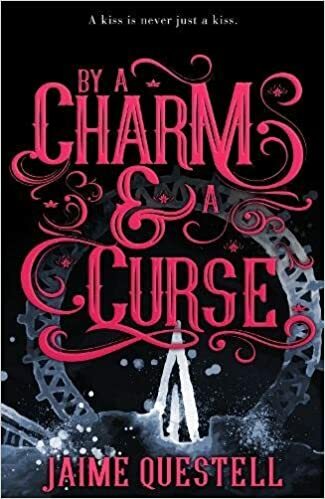 I write about a lot of dark subjects, and while they generally all have a hopeful ending, there’s still a pessimism to the way the narrators start out viewing the world. Elena is different in that her view of people is pretty positive. She wants to see the best in people, she wants to hope that their motives are good, and that was really important to me, especially now. The times we’re living in, it’s not all that difficult to imagine the world as a horrible place, so I wanted to imagine the world as a better place than the one we’re living in. And I hope I did that. Author Question: What is your favorite thing about The Last to Let Go? One of my favorite things about writing THE LAST TO LET GO was playing with the weather and seasons. 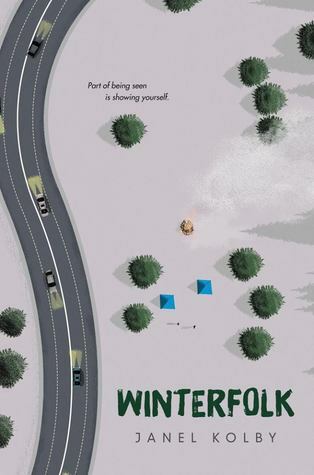 The book takes place over the course of one year, so it’s broken into four parts: Summer, Fall, Winter, and Spring. I really wanted the seasons to mean something more than simply a way to divide the time, so I tried to delve into thematic and metaphorical elements in relation to the weather. I wanted the evolution that takes place with the changing of the seasons to reflect the emotional journey of the characters, but after a while, the sweat of summer, the colors of fall, the cold of winter, and the thaw of spring almost began to feel like characters themselves. It was a fun challenge and I think it really helped my writing a lot—I’d love to try something like this again in a future book! 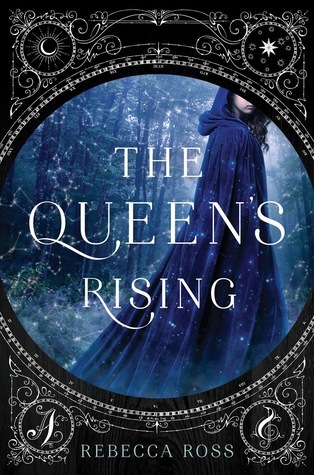 Author Question: What is your favorite thing about The Queen's Rising? 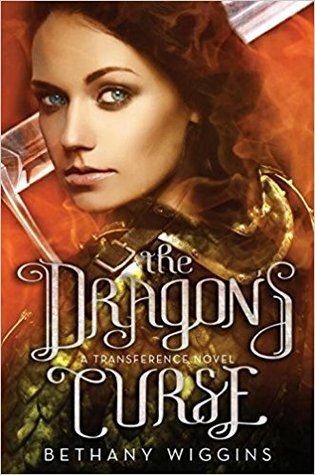 My favorite thing about THE QUEEN’S RISING would have to be Brienna, my heroine. She was the very first spark I saw for this story. I envisioned her sitting in a sunlit library with her handsome (but stern) teacher, and Brienna said to me, “The summer solstice is in eight days, and I have yet to master my passion.” And I was like, WAIT, who are you and what are you talking about!? I began to ask Brienna more questions, and the setting began to unfold. And I knew right then that she was a character I was already 100% invested in, a character I admired, a character who I would follow to the ends of the earth. As a reader, I love a good plot, but it’s always the characters who reel me in and keep me turning the pages. So when readers pick up THE QUEEN’S RISING and read Brienna’s opening lines, I hope they get a sense of who she is: she’s resolute, she’s shrewd, she’s got a little humor in her, but most of all, she’s inviting you to embark on an adventure with her to take down a king. Author Question: What is your favorite thing about Your One & Only? My favorite thing about YOUR ONE & ONLY is the love story between Jack and Althea-310. Althea-310 is one of ten clone sisters in a world made up of nine clone models, and Jack is the first new human created in centuries. There are a number of obstacles in their way. For one, Jack is an outsider in the clone community, but more importantly the clones have eliminated romance, love, or any kind of personal attachment. They’re drawn to each other, but by being together they risk not just their lives, but the life of the entire community. This Is Not a Love Letter by Kim Purcell: Katrina C.
Scott is waiting to hear about his girlfriend, Aimee, who was on a bus with her theatre group when the bridge went down. Their relationship has been rocky, but Scott knows that if he can just see Aimee one more time if she can just make it through this ordeal and he can tell her he loves her, everything will be all right. Forced to travel through Texas as the new Girl in the Box, Emmaline is completely trapped. Breaking the curse seems like her only chance at freedom, but with no curse, there’s no charm, either―dooming everyone who calls the Carnival Fantastic home. Including the boy she’s afraid she’s falling for. Everything―including his life―could end with just one kiss. So many great books to read coming out this month. I've heard good things about Your One and Only. The Last to Let Go also looks fascinating! 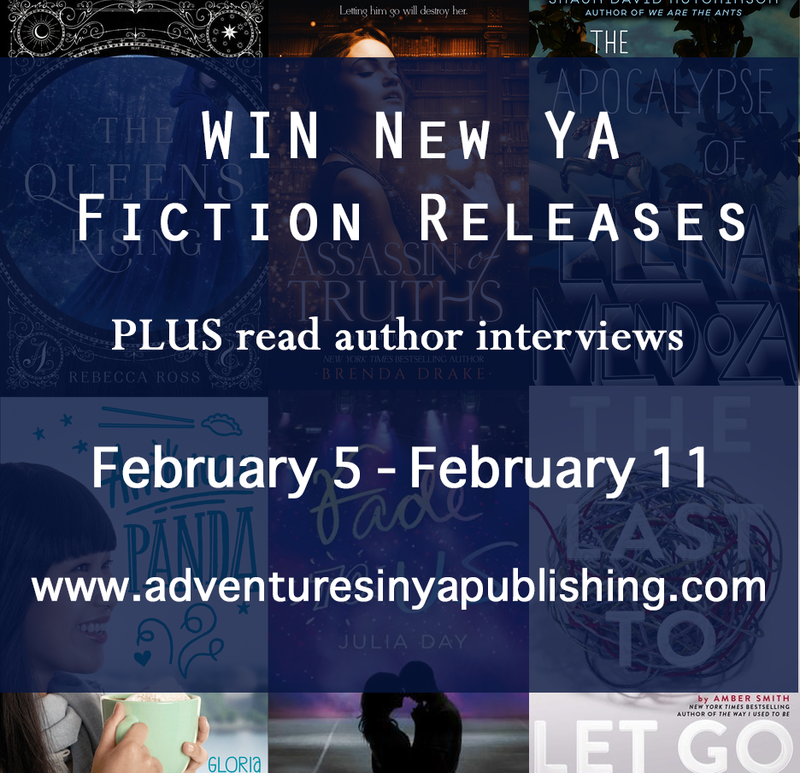 I can't wait to read American Panda and The Queen's Rising! I think American Panda looks awesome! 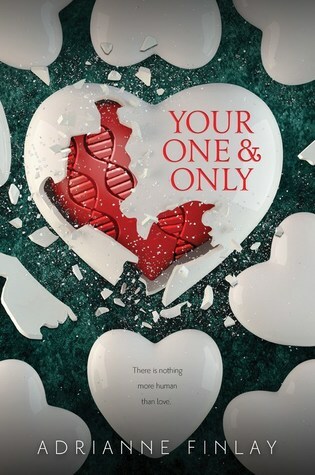 I'm avid to read "Your One & Only," and "The Apocalypse of Elena Mendoza" also sounds very interesting--this is the first I've heard of it! 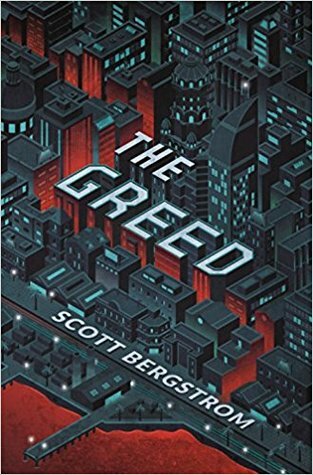 So many great books this week. Fade to Us sounds so, so good. Can't wait to read American Panda and The Belles. I'm DYING to read The Last To Let Go by Amber Smith!!!!! American Panda and The Last to Let Go.. I need them. 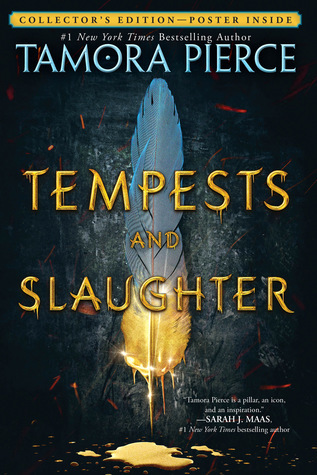 I'm so excited to see Tamora Pierce releasing new books!